Thanks to its ultra-compact, fenceless cell and the flexible layout that can be customised according to specific site constraints, the solution features an optimised footprint. Designed with ease-of-use, ease-of-installation, and ease-of-configuration in mind, CoboAccess_Pal can be quickly implemented by the operator onto another line due to its unique Plug & Play features. 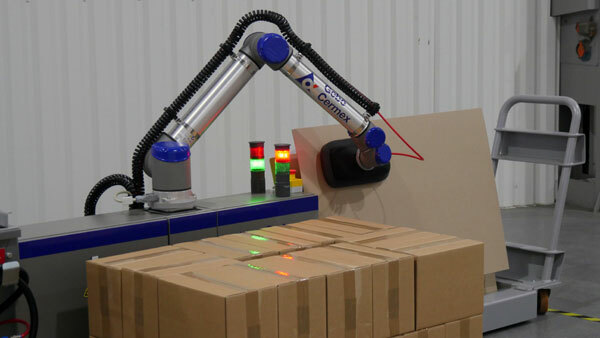 The entire palletising cell is easily adaptable and portable, so that it can be moved from one line to another effortlesslywith a manual pallet jack, making the whole production installation even more automatic, flexible and — in the end — efficient.